The first snowflakes of the year dropped between 2-3 cm of the white stuff in the high peaks of the Bulgarian Rhodope Mountains, such as Rozhen and Pamporovo. Nevertheless, the white coat did not last long because of the rising temperatures at midday. 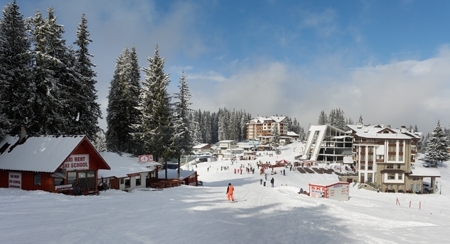 Although the September snow quickly melted, Pamporovo AD's executive director Marian Belyakov said "Pamporovo resort is preparing for a strong winter season, while it is too early for predictions, meteorologists are promising good skiing conditions." The company which owns and runs the ski facilities and sporting infrastructure of the mountain resort also plans to open the season with a new car, which was halted in November last year but will open with just the completion of the administrative procedure and documentation needed first. Flying from Bristol, East Midlands, London Gatwick, London Heathrow, Manchester and Newcastle, offering a vast range of accommodations that suit all customers requirements, Balkan Holidays are your number one winter specialist to Bulgaria so ensure you visit our winter holidays website today to find out more or to book your next ski or snowboard holiday to Bulgaria.